Return to Home > Energie producten>Activlab - Caffeine Power - 60 kaps. 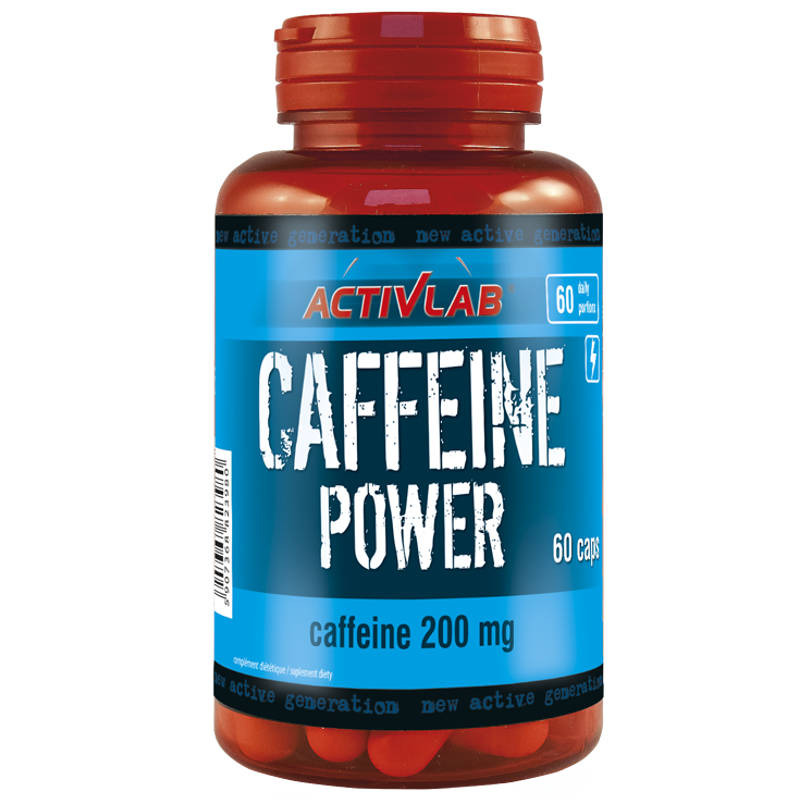 Activlab - Caffeine Power - 60 kaps. Activlab Caffeine Power – Provides caffeine! Caffeine Power is a dietary supplement supplying caffeine in a large dose – 200 mg in one capsule. Caffeine assists in increasing bodily endurance and efficiency during any physical effort. Furthermore, caffeine improves concentration and helps reduce the sensation of physical exertion. A dietary supplement recommended during any excessive physical effort, in particular to sportsmen pursuing various sport disciplines, to all professionally active people, students studying intensely for their exams, drivers during long road hauls. Note: We recommend you see a physician or nutritionist if you have any questions regarding the use of our product. Nutritional information may vary depending on flavor. * Images presented are merely for illustrative and promotional purposes only. The product's final image may be altered. INGREDIENTS: Caffeine, lling substance: E 460i, anti-caking substance: E 470b, shell: gelatine, dyes: E124, E110, E104 – they may adversely affect the activity and concentration in children, E171). Product may contain trace amounts of soya bean, wheat and nuts. METHOD OF USE: 1 capsule 1 hour before any anticipated mental or physical eort. The preparation is not suitable for any persons sensitive to caeine. Not to be used together with alcohol. Do not exceed the recommended daily dose. A dietary supplement may not be used as a substitute of a varied diet. Substantial amount of uids must be administered alongside caeine, whenever any physical eort is undertaken.